Ashley, our youngest daughter (birthday girl) said, “Mom, I want you to take a walk with me, I have something special to show you!” She had a little smirk on her face, so I knew I was going to like this. I immediately went and grabbed the camera and off we went. What does this adorable quaint market carry? Delicatessen and Salumeria, Cheese, Fresh Meats, Meaty Wines and Brave Beers, Produce, Coffee, Breads and the Yummo Gelato! 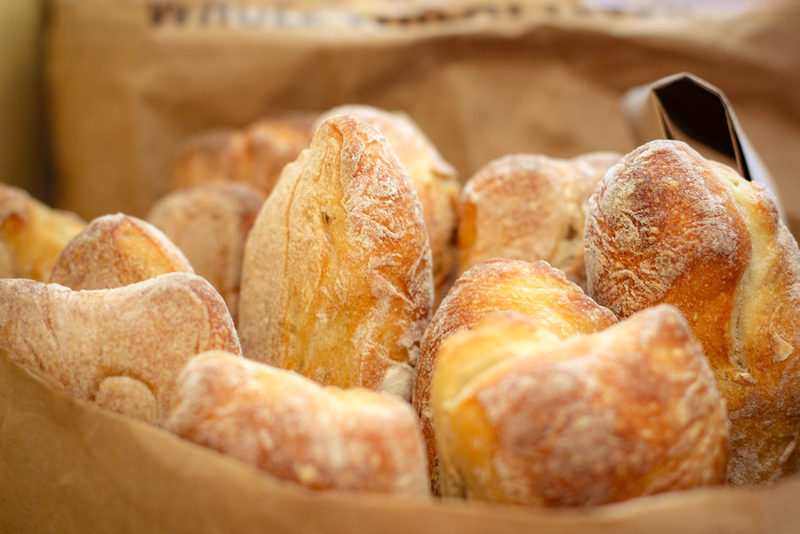 You smell the aroma of the fresh bread throughout the air as soon as you walk in! FOODIES: Attention…I have to give you this incredible link to the recipe page on their website. They are sharing the “GOOSE RECIPES”…oh be still my heart. Very unique and perfect for entertaining…take a look. 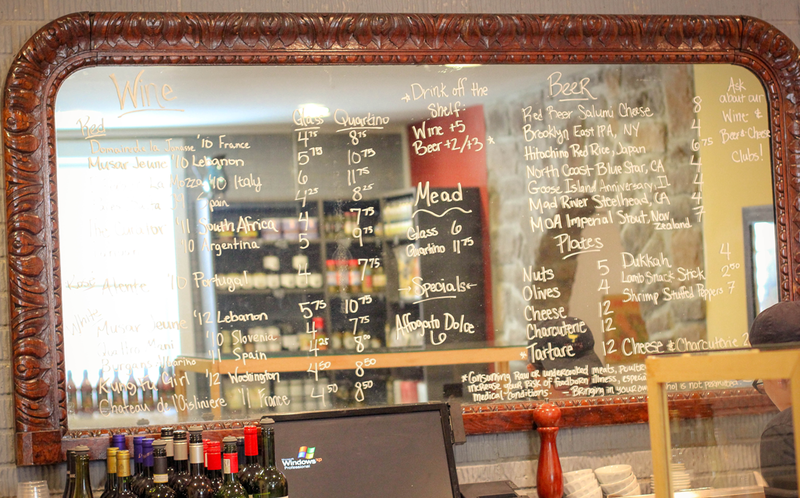 The Goose’s Enoteca located in the downstairs cellar, is a casual place to drink wine. Order a glass or quartino from the rotating menu of unassuming and enticing wines or choose your own bottle from the cellar shelves. The cooler is stocked with a changing selection of craft beers, and a rotating menu of small plates–like crudo, rillettes, and cheese & charcuterie boards–will calm those hunger pangs between sips. Grab a seat at the communal tables or pull up a stool at the bar while the vinyl tunes spin off their lovingly restored turntable. We ordered specialty sandwiches from their deli and just enjoyed the quaint atmosphere and shared some laughs. Of course, a walk back home just wouldn’t do without pulling out the camera to snap off a couple more delightful shots. The neighborhood is just as cute on the outside as the market was on the inside. 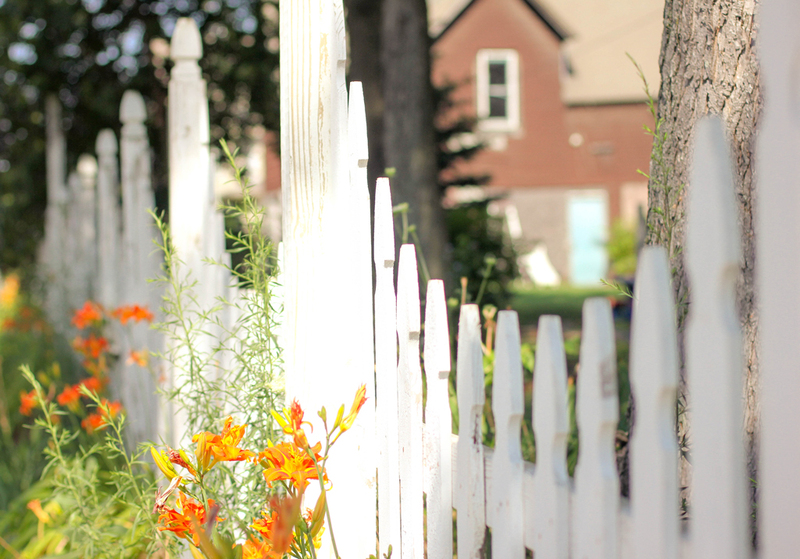 Most of us would adore a white picket fence, but did you see the curves on this cute structure? Sigh…I don’t know how I am going to fit this in my suitcase for the return trip home LOL! 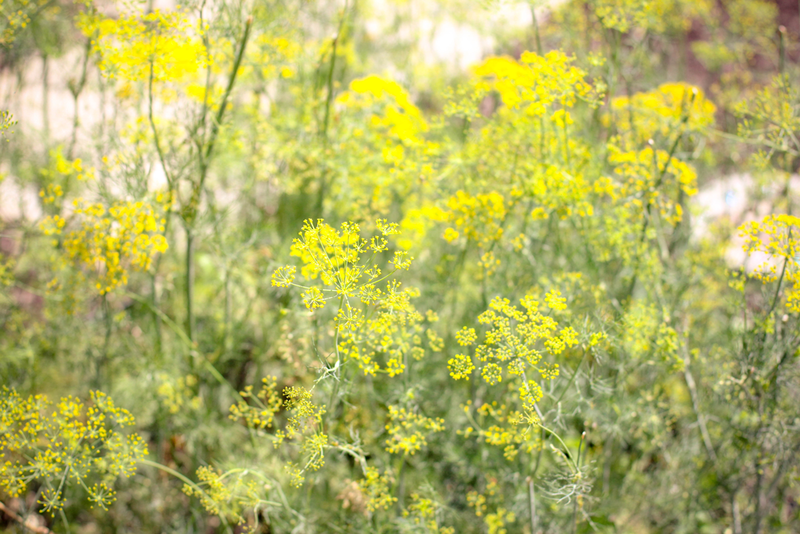 Do you have days when you could use a little incentive to blog and post your images? Gazing at a happy moment from the past can improve your present outlook. If you reflect on good memories, like an amazing vacation with family or friends, you might actually be able to experience the same sensation you felt in that moment! Surrounding yourself with pictures of your loved ones can remind you of this bond and make you feel more upbeat and optimistic about the future. I can’t tell you, how many times I will go back and look at older posts and the smile it brings on my face, recalling the great times we had. So keep on blogging…so you will have many memories for the future. If you would love to receive the tips of the day, go to the bottom footer of the blog and fill in your email address. The inspirational post will come right to your inbox and will be waiting, until you are ready to read it. I’m hungry ~ what a lovely way to spend the day! I loved the fence as well! ooh– I think I would love Goose! The bread looks delicious! 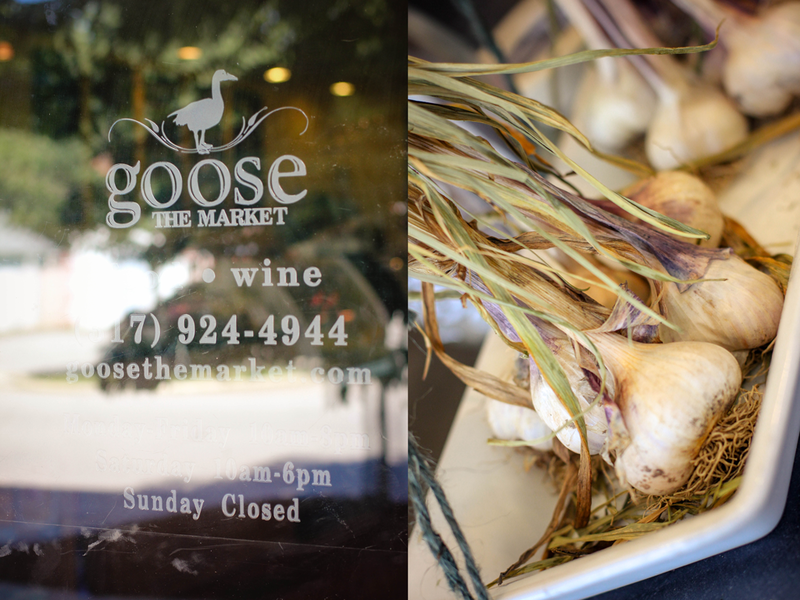 I want to go to the Goose Market! Your images are so serene. Lovely. This place looks really cool. What a neat place to have within walking distance! I’m jealous! I like to surround myself with pics of family and artwork I enjoy. It must have been a wonderful experience. I want the bread and the fence! Super trip. I really like how sharp the picket slats are–versus the fuzziness of the house in the background. Also…new site banner? Thank you, I love showing a nice depth of field and the banner I changed a couple of months ago. We felt the old blog header was taking away from the images in the post. Thanks so much for visiting. I go back through my blog posts and reminisce also. It’s easy to forget all the great things I’ve done and blogging helps me remember. What a wonderful little shop.. Looks like a place I would love to hang out in. I had to smile at the picked fence comment. I am thinking a picked fence would look fabulous around my trailer. Just packing it up every time we moved might be a pain. Hope you are enjoying your week my friend. Linda, this is a fabulous idea for you!!! It would look adorable! All you have to do, is find one that you can roll up and put inside the trailer when you travel. I love places like this where everything is simple, but beautiful. Plus, I love good food and wine. Looks like a great location for an intimate gathering with friends. So beautiful, but now i’m so hungry! Lovely food, lovely restaurant and lovely neighborhood. What a delicious and fun adventure. That’s what makes the journey of life so special – these little side steps with those we love. What a lovely place to find. Gorgeous photos! Cool neighbourhood. I so love being able to walk to quaint neighbour eateries and support the ma & pa establishments. Wow, so glad I ate before reading this post. I love the mirror menu – very unique! My dear Laurie, I am so ashamed of myself! You come visit me so often and I am sooo behind in the reading of my favorite blogs… I absolutely love your blog. Such talent, such colors… Your personality shines through your art! I might add a “greatest hit” page to my blog as well. I think it’s a great idea! Love, love your work!! Dear Stephen, you owe me NO apology in the least. It is always a delight whenever you can make it here on this blog. I know how hard it is to be at all the favorite blogs…so much fun so little time as they say. As for the greatest hits page…I think you will enjoy having one on French Heaven….I receive hits on it every single day. Blessings to you! Wouldn’t that be great if we could pass smells and scents thru the worldwide web? What a concept! Hi Laurie…Oh don’t you just love to find a great market…where everyone knows your name? I have one here in my hometowne…it is The Blue Goose. It must be something about those geese…they really know how to shop~ giggle. Enjoy your visit! Nancy, you are SO fortunate to have a market like this!!! Thanks for stopping by. what a fun place, your daughter must really enjoy that quaint neighborhood life! I will definitely so check out the recipes, thank you! Thank you for the tip of the day! Happy Wednesday! Oh my! This place sounds wonderful!!! That sure is something special. I love the photo of the bread; I would love to eat the bread! Since i’m a vegetarian, the cauliflower gratin and black truffles–yummy. On Sunday at our Farmer’s Market, I’ll scoop up some cauliflower and give it a try. It makes me smile that you are having so many precious experiences with your family. Markets are the great places in any city. For food lovers it is the must visit place. Your pictures and story are the witnesses of that. Thank you for sharing. Tis sounds like a perfect place to buy and eat. Yum. What a wonderful place, Laurie, and how sweet of your daughter to take you there. I LOVE the menu on the mirror! Thank you Lisa, I had such a great time with her on this trip.